Home Pages vs. Landing Pages: What's the Difference? 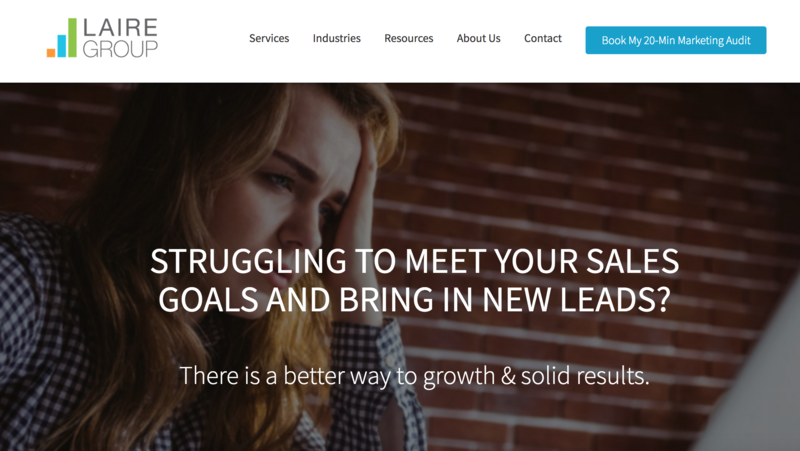 You've worked hard to create a killer home page, complete with purposeful copy, intuitive navigation, a call-to-action, and contact information. You're directing visitors to your top-notch home page, but you're still not generating the leads you want. There's a lot of hype around landing pages, but they often look eerily similar to home pages. So what in the world is the difference between a landing page and a home page? Home pages offer an overarching view of your company and services with multiple paths for site visitors to take. It exists to educate, entertain, and entice visitors to stay on your site. You want the opportunity to nurture site visitors, so they can continue to get to know you better. There are many different ways to accomplish this, and you will probably incorporate several of them. For example, you might want to outline your services, showcase your blog, or add visual interest with a cool slideshow or short video. You might also decide to include a Call-to-Action (CTA) somewhere on the page. Below, you'll see the Laire Group Marketing home page. When you scroll down, you'll see an overview of how Laire Group can help the visitor, three testimonials from current clients, a preview of 3 of our blogs, and 2 more CTAs. Landing pages, on the other hand, allow you to focus your visitor’s attention exclusively on converting them to a specific action or offer. According to HubSpot, a “landing page” is any page on the web on which one might land that 1) has a form and 2) exists solely to capture a visitor’s information through that form. On a landing page, you remove all distractions that a home page has, including the navigation bar, sidebar elements, and social media icons. People who arrive on a landing page are there because they clicked a link elsewhere on the internet that intrigued them - such as a Facebook ad or a link in an email newsletter. Because landing page visitors often won't know about your company, it’s your job to make them feel comfortable that you have the solution to their problem. Below, you'll see the Laire Group Marketing landing page for our Inbound Marketing Checklist. It includes a preview of what you'll find in the free checklist, a CTA, and a simple form. Let's discuss another specific example. Suppose you are running an ad for 25% off a furniture repair service. If you direct your visitor to your home page —where they will not find the 25% off offer — you will likely lose that visitor. Just like that, you've lost a potential lead. However, if the visitor reaches the correct landing page, they will see the headline, “Get 25% Off Leather Furniture Repair.” The landing page will provide specific details about the offer, either through text or video, and finally the visitor will click a CTA, allowing them to download a coupon. The most important element on the page is the form, prompting the visitor to provide their name and email at minimum, and at best, an opportunity to describe their problem. You will then use this information to contact the visitor to schedule the furniture repair technician to give a quote. Boom - thanks to your awesome landing page, you have new business. Once your landing page is up and running, you should analyze its performance. You may decide to present 2 or 3 versions to find out which one converts at a higher rate. This is something you can't do with a home page. Once you’ve determined which landing page works best, you can conduct additional experiments to test new versions to continue increasing conversions for your website pages. As you're testing and optimizing your landing pages - don't forget about the front door to your website: your home page. Chances are, your home page can work harder for you. You can measure your efforts by analyzing whether visitors click a CTA or watch a video, or even how long they’re spending reading content. Use this data to make adjustments and drive more sales. The bottom line: Smart companies are using every opportunity, whether it be a landing page or the home page, to convert visitors into viable, qualified leads. What does it take to have a great website that drives visitors, leads and revenue? Get your copy of our eBook guide "25 Website Must-Haves for Driving Traffic, Leads & Sales" NOW!